In the Lebron Hotel you will find that modern comfort blends with traditional Parisian features, giving it a distinguished air, perfect for your stay in the City of Light. Every single room boasts the comfort and facilities that you would expect from a 3 stars hotel to make our guests feel at home. This central hotel in Paris is very close to the famous Galeries Lafayette and the Palais Garnier, and it is situated in a lively area with very good public transport connections. Breakfast is served in the dining room from 7.30am to 10am. The hotel offers kosher breakfast, under the supervision of Beth Din of Paris. The hotel does not offer hot-plate. Check-in starts at 3pm and check-out finishes at 11am. In the Lebron Hotel you will find that modern comfort blends with traditional Parisian features, giving it a distinguished air, perfect for your stay in the ‘City of Light’. 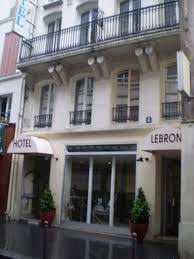 The Lebron Hotel is situated in 4 Rue Lamartine in a central and lively area next to Montmartre with very good public transport connections. From our hotel, you will be able to move easily around the city on foot or by public transport. You will find bus stops as well as underground and RER stations near the hotel. 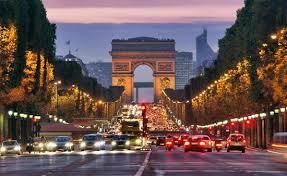 Set in the city centre, Lebron is ideally located to explore Paris. It offers rooms with flat-screen cable TV in the 9th district, one minute from Cadet Metro Station. The accommodations feature wooden floor and tea and coffee facilities. There is also a working area with desk and telephone, and each private bathroom is equipped with a hairdryer. A minibar is available on request. Additional services include 24-hour reception, free Wi-Fi in public areas, dry cleaning and laundry. 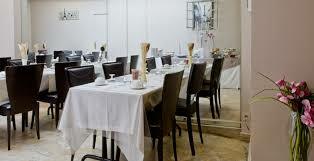 The Hotel Lebron also features meeting facilities for up to 80 persons. Cadet and Notre-Dame-de-Lorette Metro Stations provide direct access to the Opera Garnier, The Galeries Lafayette department store, Montmartre district and Saint-Lazare and Montparnasse Stations. Lift, elevator, Family rooms, Central heating, Free Wi-Fi Internet Connection, Restaurant, Television, Luggage storage, Baby cots, Safe, 24h reception service, Ticket sales, Additional beds. In the Lebron Hotel you will find that modern comfort blends with traditional Parisian features, giving it a distinguished air, perfect for your stay in the City of Light. The accommodations feature wooden floor and tea and coffee facilities. There is also a working area with desk and telephone, and each private bathroom is equipped with a hairdryer. A minibar is available on request. 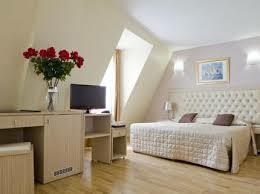 Additional services include 24 hours reception, free Wi-Fi in public areas, dry cleaning and laundry. All the rooms of the hotel have the facilities worthy of a 3 star hotel, so that our guests feel at home. The Hotel Lebron is located at 4 Rue Lamartine, in the 9th district of Paris, a central and lively district close to Montmartre, and not far from the Opera, very well served by public transport. From our hotel you can easily move around the city on foot or via the many means of transport. You will find bus, metro and RER stations around the hotel. 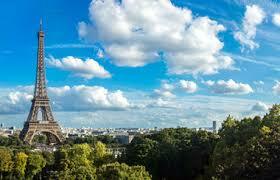 The city of light is ideal for a multitude of cultural and gastronomic activities. Because of its historical and artistic heritage, Paris is for many one of the 5 most beautiful cities in Europe, and deserves to be visited at least once in its life. Let yourself be seduced by the beauty of Paris and discover its most magical places. To visit Paris, it is essential to plan your travels in this unique city, in which you will discover great monuments of all ages. To move around the city, it is recommended to use the extensive public transport network, so we advise you to consult the metro, RER, bus and taxi lines before starting your journey. L׳Opera, is one of the Jewish quarters in the heart of Paris. The hotel is within walking distance from kosher restaurants and synagogues. Entertainment rules in this district, ranging from the ornate Opera Garnier to the cabarets and dance halls of Pigalle. The Grands Boulevards curve along its southern boundaries, flanked by famous department stores, international banks and the Drouot auction houses. Paris-Story and the Musee Grevin are popular visitor attractions. Montmartre and the Louvre museum lie within easy reach. In the heart of Paris, a step from the Marais near the Gare du Nord (Eurostar), the Gare de l׳Est and the Republique square, the hotel Aida Opera is ideally located for business and leisure. A short walk from the hotel, you will find a kosher Japanese restaurant called Izaaki, a 20-minute walk or a short drive from a variety of kosher restaurants such as Djerba Casher Chez Guichi or Restaurant Inté Caffé or Kavod From the hotel.